. ::Remy Ma said… "I Didnt’ Shoot no body"::. 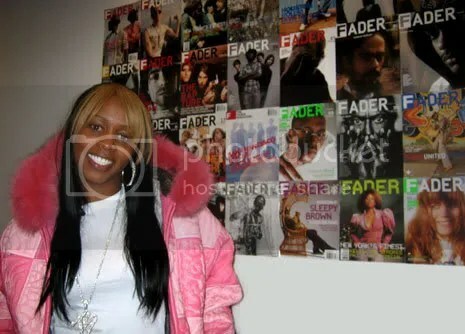 We never found out if this was a publicity stunt or just a bad case of karma but what ever the case may be Remy Ma has a hectic life ahead of her. Remy Ma had the audacity to tell the papers that she didnt shoot no one. Remy Ma denied shooting her friend Makeda Barnes-Joseph outside a New York nightspot on Saturday night. Remy Ma, 26, pleaded not guilty to attempted murder, first-degree assault and weapons charges on Sunday and was released from Rikers Island after her manager reportedly put up his home as collateral on the $250,000 bond. According to the Daily News, as she walked to a Cadillac Escalade about 10:45 p.m. Sunday after her release, Ma warned photographers to get out of her way with a string of expletives and then spat out a wad of gum. She is due back in court on August 14. In the midst of her album coming out and the blasphemic controversial picture , She is at it again. 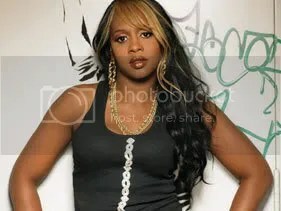 Remy Ma is out at large suspected for murder. 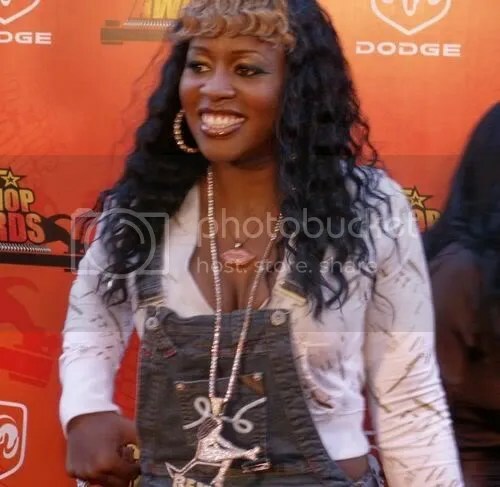 A detailed account said they seen Remy Ma fleeing from the scene ….. we will have further updates as they develop. The 26-year-old rapper, whose real name is Remy Smith, had been sought for questioning in the shooting of a 23-year-old woman early Saturday after a verbal dispute near a bar in the Meatpacking District. She reported to police Saturday evening and was also arrested on charges of assault and criminal possession of a weapon, police said. 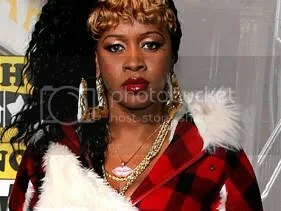 Is this a Publicity stunt to keep her in the lime light for her new album or is Remy Ma that Gangsta? We got the streetz iz talking ! The rapper’s manager said Saturday that she could not talk and referred calls to Remy Ma’s attorney, who was with the rapper as she reported to police. He said an arraignment would be likely be held on Sunday. A 911 call reporting gunfire led police to a woman with a gunshot wound. Three blocks away, officers discovered a luxury SUV owned by Remy Ma; the vehicle had been involved in a single-car crash and abandoned, police said. The victim, Makeda Barnes-Joseph, was in stable condition at a hospital. Sasha Tcherekoff, owner of the Pizza Bar, said a review of security videotape taken inside his nightspot showed the rapper and her friends having a good time before they exited. You are currently browsing the archives for the Remy Ma category.